Computer Power - Worth Upgrading? This week I want to answer a question that has come up a few times recently and that is what type of computer do I use, what are the specs and what to consider when making an upgrade. Let’s start off by telling you what I am currently using as of the writing of this article. I have a 2013 Mac Pro (trash can) with an eight-core 3.0GHZ processor and 32 GB ram. This also has two video cards, which are ADM Fire Pro D500 cards. The internal hard drive is a SSD 500GB drive and that runs the OS and all the applications. All of my recording sessions run off an external RAID drive set-up, which has three 2TB, drives and this RAID set-up is connected via thunderbolt. Now prior to this I was using a 2008 Mac Pro, which had a Quad Core processor and 24GB of RAM. I used this every day in my studio for 5 years and it worked like a champ. I upgraded for a few reasons, which I will talk about in a moment. This 2008 Mac Pro is still in use in my home office and it is as reliable as ever and is now eight years old. So why did I upgrade? 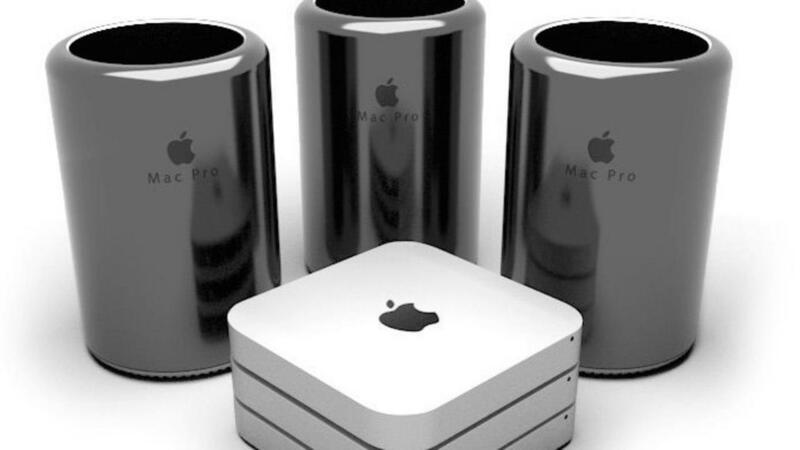 The new Mac Pros are very expensive (over $6,000) and do you need such a computer? Well, for me the reason why I upgraded was more to do with video editing and not so much recording audio. You see, as my You Tube following has grown and with the launch of the MADE EASY SERIES training products I found myself really struggling to do heavy video editing in the 2008 Mac Pro. I would work but rendering took a lot longer and a lot of times the computer ran sluggish. It was becoming more difficult to get things done quickly when the computer was slowing me down. So, I decided to purchase a computer that not only would really speed up my workflow with video editing but also be a great machine for audio recording, mixing etc. and would last at least 7-10 years. So that was my reasoning behind this business investment. Now, do you need to make such a larger investment in your studio? No, not necessarily. It depends on how you currently use your studio and more impotently what you plan do you in the next 5 years. Having said that keep in mind that the computer is really the engine of your studio. It is the heartbeat of everything that is working the studio so you want to make sure you don’t sell yourself short. Here are a couple of things to think about or consider if you have a system that is more than 3-4 years old or if your looking for a new machine. Especially if you tend to run larger sessions and use a lot of VST instruments. They take a lot of computing power! 1. You absolutely want to max out the amount of memory your computer can handle. The minimum I would suggest is 12GB even though most DAW’s only require 4GB or 8GB. Memory is cheap these days and adding more memory will increase the performance a lot. 2. Make sure you are running your sessions from a different drive than the OS and DAW application. This is something I suggest to everyone. Have a dedicated drive for your recording sessions and get the largest drive you can afford. This will help run things more efficiently and therefore increase performance. Oh yes, and ALWAYS back up your work in at least 2 different places on different hard drives. I have mine backed up in 3 places. Again, HD space is relatively cheap these days so don’t skimp out on this as you will find that you will fill up that HD quicker than you think. 3. If you are planning on purchasing a new computer then try to spend as much as possible to get the highest performance machine you can afford. I can’t stress this enough. Don’t think about today but in the next 4-5 years. What are your plans with your studio? Remember that the computer is the engine of the studio. Today you may be just running smaller sessions but you are planning on one day taking on some work from clients. You may find that your clients have much larger sessions and you may need to use many different types of VST instruments and/or plugins. These tools can really tax your computer and you would hate to find out that in a year your computer is having a difficult time keeping up. Plan ahead! The last thing I get asked about is Mac or PC. Honestly, I think today it really does not matter. I know a lot of PC people who have great success. For me I have been using Mac’s for years and I am super comfortable with them so I would not go back to a PC but that’s just me. Yes, you can probably get into a PC for less money than a Mac and that is something to consider. However, don’t let the price tag be the only deciding factor. Like I mentioned earlier, think of this as a 5-7 year investment minimum. Hope this helps some of you and if you have any further questions you can always leave a comment below and I will certainly try to answer.